News Photo by Jonny Zawacki Hillman’s Kory Henigan (40) scores on a layup while being defended by Hale defender Garrett Beebe (22) during the second quarter of a boys North Star League basketball game on Friday at Hillman High School. HILLMAN — The Hillman boys basketball team has endured its share of struggles this season. 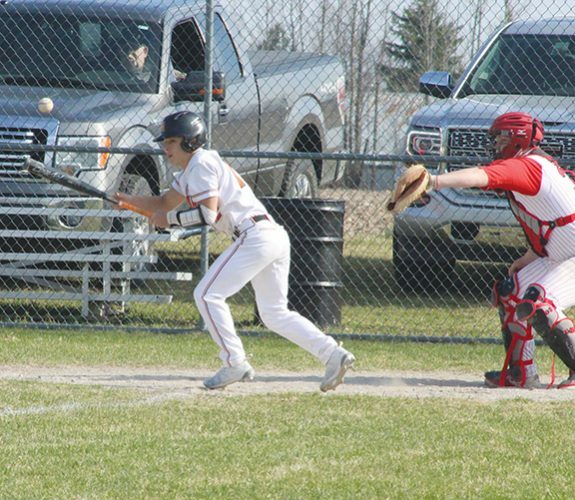 The Tigers entered Friday’s North Star League contest against Hale on a four-game losing skid and have lost a handful of close games during a difficult and frustrating year. The frustration continued and so did the losing streak on Friday as Hillman fell to the Eagles by a score of 54-47 at Hillman High School. 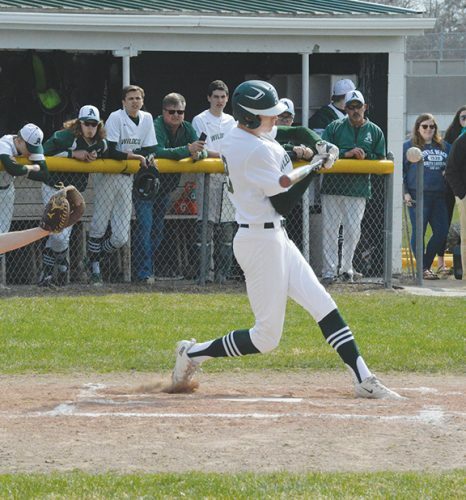 Hillman’s offensive struggles continued and despite playing a back-and-forth game during the first half, the Tigers struggled rebounding and Hale (9-4, 7-4 NSL) capitalized on second and third chance opportunities. Hillman (3-8, 3-8 NSL) also had no answer for Hale junior Joseph Kimmerer who scored a game-high 28 points and went a perfect 10-for-10 at the free-throw to lead the Eagles to victory. The Tigers held a 14-12 lead early in the second quarter, but collapsed late in the half as Hale scored nine of the last 11 points to take a 21-16 lead into the break. Hillman continued to battle throughout the third quarter, but still lacked the energy and intensity most are used to seeing from a Hillman boys basketball team. 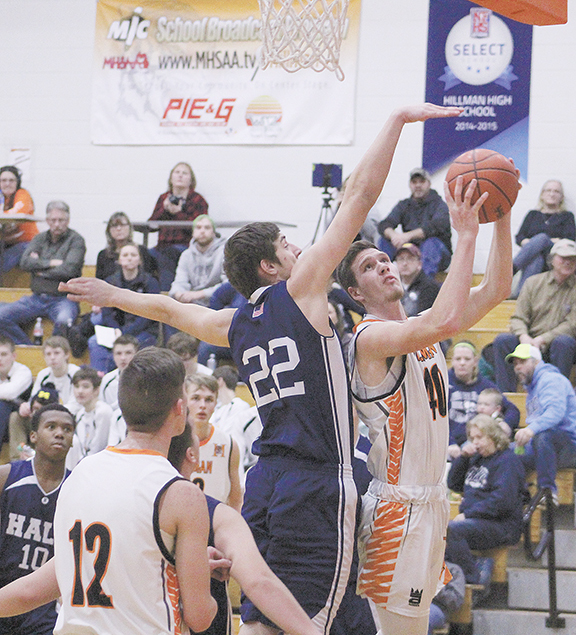 Kimmerer scored eight of Hale’s 10 third quarter points as the Eagles held a 31-27 lead after three, but the early stages of the fourth quarter proved to be the difference as Hale scored six unanswered to take a double digit lead. The Eagles were able to build on the lead as Kimmerer continued to find ways to score and scored eight more points in the fourth. Despite a solid performance and a late spark from Kory Henigan who led Hillman with 25 points, it wasn’t enough as the Tigers came up short and suffered another tough loss. HALE (54): J. Kimmerer, 9 10-10 28; K. Brito, 0 1-2 1; G. Beebe, 2 1-3 5; T. Sauseda, 4 1-1 9; T. Kangas, 1 2-3 4; B. Bernard, 2 2-2 6; C. Ready, 0 1-2 1. 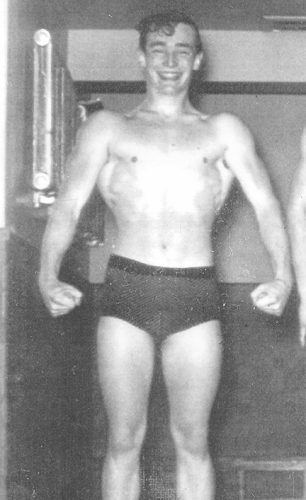 HILLMAN (47): S. Henigan, 1 0-0 2; C. Koenig, 1 0-0 3; E. Holford, 1 0-0 2; I. Morrison, 3 0-0 6; K. Henigan, 7 10-11 25; N. Taratuta, 4 0-0 9.